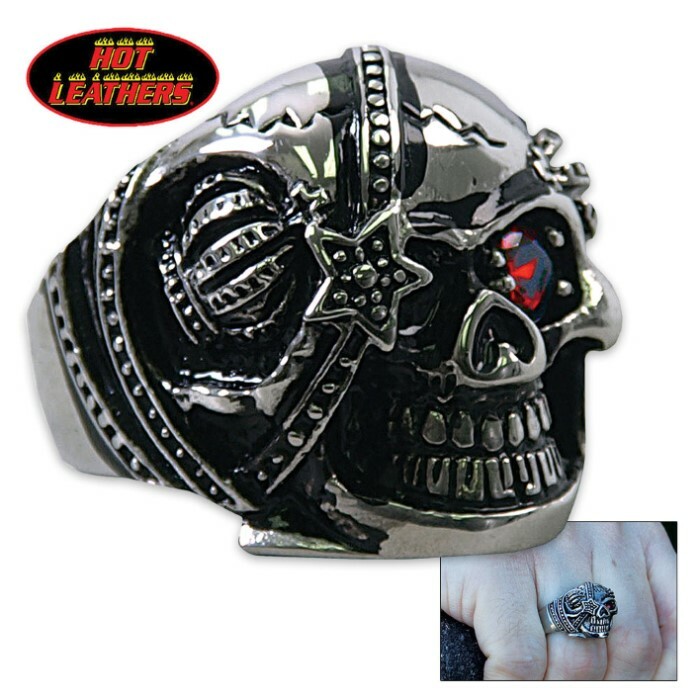 Hot Leathers Eye Patch Skull Ring Silver | BUDK.com - Knives & Swords At The Lowest Prices! 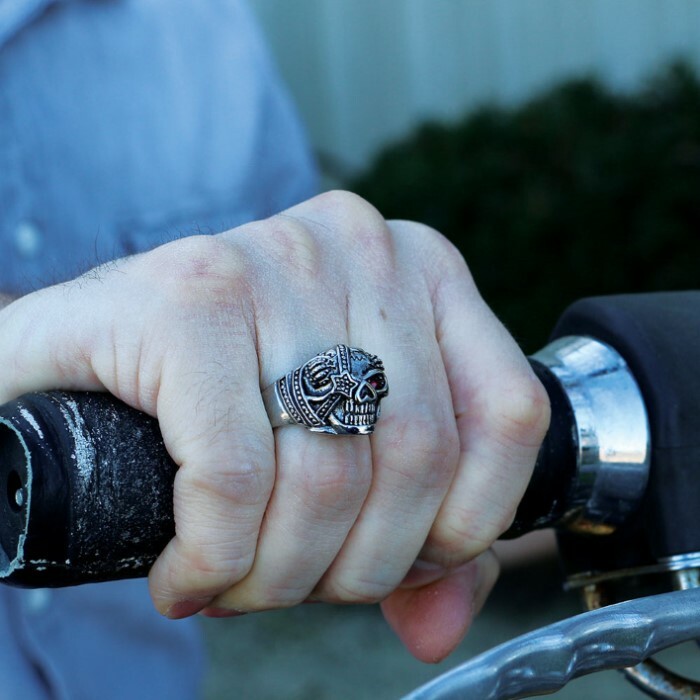 The Eye Patch Skull Ring by Hot Leathers is an aggressive looking ring the will add some edge to your style! It is crafted of high quality 316L stainless steel for long lasting durability to ensure that it looks great for years. The skull design is highly detailed and features a faux ruby. It is available in sizes 10, 11 and 12. Make a statement with this piece of jewelry.